Tasted as a Margarita cocktail. Hazy golden green color. 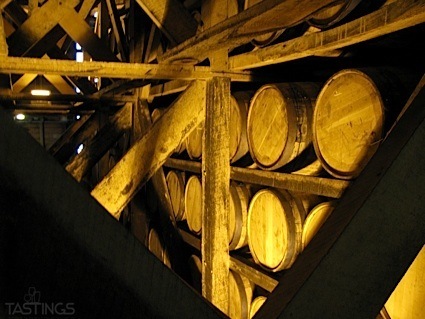 Citrusy, herbal aromas of pickled melon rind, pine and eucalyptus, lemon candy, and lavender with a round, tangy, sweet-and-sour medium body and an appealing, medium-length saline finish. A fun, herbal scented margarita mix that holds up well to tequila. Bottom Line: A fun, herbal scented margarita mix that holds up well to tequila. 89 • On-Time Mixers Sweet and Sour Mix 0% (USA) $7.99. 92 • On-Time Mixers Bloody Mary Mix 0% (USA) $7.99. 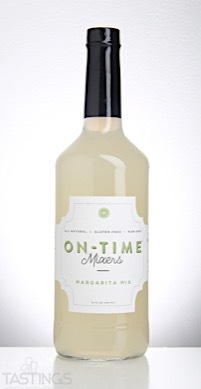 84 • On-Time Mixers Margarita Mix 0% (USA) $7.99. 86 • On-Time Mixers Key Lime Sour Mix 0% (USA) $7.99. An incredibly popular cocktail, a Margarita is a mixture of tequila, triple sec and lemon juice along with a lemon wedge and salt used to moisten the rim of the glass. There are numerous options to this classic Margarita, as any number of fruits, such as banana, mango and cassis can also be added to the mix. On-Time Mixers Margarita Mix rating was calculated by tastings.com to be 84 points out of 100 on 5/31/2017. Please note that MSRP may have changed since the date of our review.